Tablets, laptops, desk tops, smartphones…it seems there is no escape from technology these days. People walk around town staring avidly at their twitter feed, and it seems that just about everybody is plugged in to their music even while walking the dog or having coffee with friends. It continues into the work place as well – even in my own clinic, I have taken myself away from paper records and keep everyone’s files on computer. It drives me nuts most of the time, as I find it much harder to make notes on the computer than I used to when I was working with paper notes, but my decision was driven by a storage issue. Little known fact: chiropractors are required by law to keep all patient records for 7 years after a patient’s last appointment. So you can imagine that the more-than-1500 files I currently have amassed in the last 9 years is only the tip of the iceberg, and that’s a lot of paper to find a safe storage place for! But that’s not the point of why I bring this subject to your attention. I am more interested from a professional point of view in how it is affecting us all physically. There was a fascinating, though woefully brief, point made in The Daily Telegraph a while ago – an image was printed of an x-ray taken in Australia by a chiropractor, showing how the top of a 7-year-old’s neck has developed a kink in it. Now, that chiropractor is suggesting that this is due to the child spending so long on his smartphone. I have no idea if that is truly the case, but it’s a seriously scary thought if it is true. I mean, if a mere child of 7 has already got actual changes to the structure of his skeleton, what the heck is he going to be like when he’s twenty? Thirty? Sixty?! In my own practice, I have come across cases of severe neck pain and headaches while people are at work, and it almost invariably links back to the posture that person is adopting to work. There are ways to minimise the effect of course; making sure you have a suitable chair and desk to work at, making sure that you take regular breaks and that your computer screen and keyboard are at the right height. But that doesn’t work for smartphones and tablets – or even laptops, like the one I am typing on at this very moment. More worrying than that are the increasing number of teenage patients I am seeing who are unable to maintain good or correct posture because they spend so long time slumped and slouched while using screens. I also somewhat facetiously commented to a couple of patients about how having their smartphone in their pocket may be starting to affect how they are walking, but there was a grain of true concern behind my joking. As phones and tablets become more and more merged, with phones getting bigger and more powerful, we still try and force them into our pockets. But they don’t flex, and there’s only so far they can move out of the way of your hip movement when you are walking, so surely before too long we are going to see the first case of someone ending up with a problem such as back pain because of the way their smartphone is “forcing” them to walk. So what’s the answer? Honestly? I have no idea. It seems the only real way to solve the overall problem is do that highly fashionable yet unpopular move of unplugging. That’s not always possible, but if you minimise your screentime then you are at least making sure your body can cope better with the occasions when you do have to use it. Also, think about your posture while you are using your device, trying to make sure you are maintaining as near perfect posture as possible by holding your device at a suitable height and angle. Longer term though, I am seriously worried. I can well see us crashing towards a continually ageing population, with posture more and more reminiscent of the old crones pictured in medieval tales; hunched over and barely able to lift their heads from looking at the floor, not to mention totally isolated from each other by our insistence on surrounding ourselves with the latest technology. There are many commonly-held beliefs around medicine and health, some of which are total rubbish. But there are a few which hold grains of truth. Here, I have listed a few popular ones and tried to explain how much truth there is before them. Vitamin C prevents colds – sadly, false. The common belief is that if you start to feel a cold coming on, and mainline vitamin C, you can stop it happening. Either that, or eating plenty of vitamin C will stop you getting one in the first place. There is a lot of conflicting evidence, but the generally accepted truth is it will at best make the duration of the infection shorter; if nothing else, your body will only absorb a certain amount of vitamin C, and the rest it will simply excrete. The better defence against infection is to regularly wash your hands. Antiperspirant causes breast cancer – happily, false. There is apparently absolutely no evidence that there is any sort of link between antiperspirant and breast cancer, it just seems to be one of those tales that has cropped up from somewhere! Having a slow metabolism causes obesity – false. In fact, people who are obese tend to have faster metabolisms. Individual variations such as how much you fidget can have more of an impact on how many calories you burn during the day, but obesity basically comes down to how much you eat, and how much you exercise. Sitting at a desk all day is bad for you – TRUE! As if you even need to ask, if you have read my other articles! Lack of movement, muscle wastage and even bone density decrease to list just a few problems. Get up, move around – wander around as you talk on the phone, stand up to work if you can and even consider holding meetings where everyone stands (might make them shorter as well!). Gluten-free is a healthier option – except in a few circumstances, false. It’s a fad that has really hit the stage recently, but unless you are Coeliac there is no benefit to a gluten-free diet. Gluten intolerance, in my experience, is also one of the most common self-diagnosed “allergies” as well resulting in many people are making their lives far more inconvenient – and expensive – than they need to. Unless confirmed by a medical specialist, gluten may not be the spawn of evil it’s believed to be! Warm milk helps you sleep – false, which was a surprise to me as well as many of you, I’m sure! It would appear that apart from as part of a calming pre-bedtime routine, it doesn’t actually have a soporific effect at all. Still tastes nice though. Running on a soft surface is better for your body – true and false. If you take up running slowly, the benefits of running on a soft or hard surface are merely different, not good or bad. Soft surfaces make the muscles work a little harder and improve balance, while hard surfaces put a greater impact on the bones which (if introduced correctly) can actually strengthen the bones. However, if you go straight into running long distances on a hard surface, or train in a way that is inappropriate for your current fitness level, it may well cause damage such as stress-fractures. Long term, running on any surface (soft or hard) is also quite hard on the joints. An apple a day keeps the doctor away – true. Naturally, we are supposed to eat 8 portions of fruit and veg a day (yes, 8 not 5…don’t get me started on political reasons! ), but apples are packed full of beneficial substances such as boron (good for bones), vitamins A, C and E, pectin (lowers glucose levels, cholesterol and maintains healthy digestive system), and antioxidants. Coffee is bad for you – honestly? 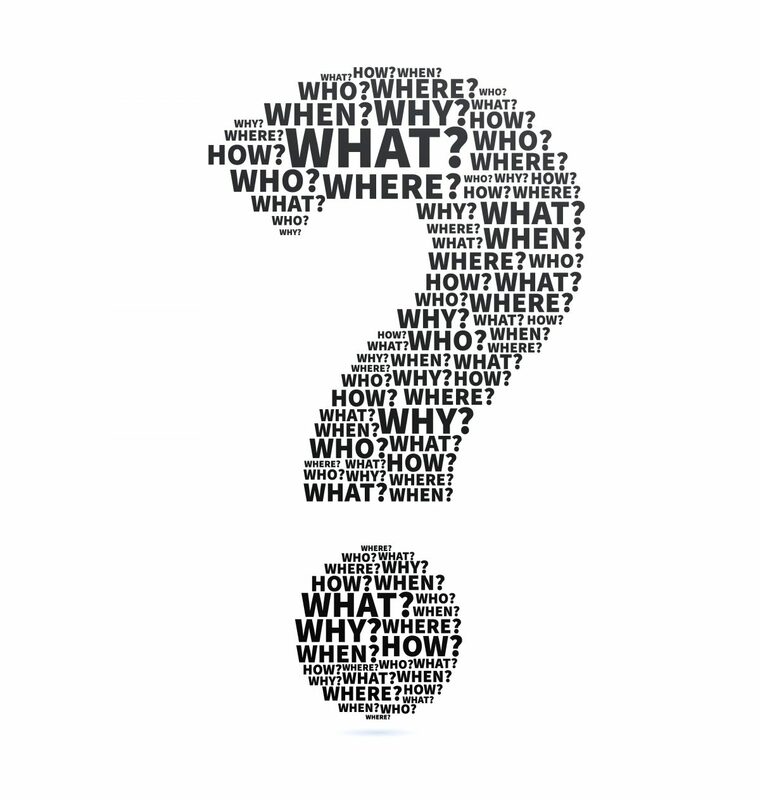 Erm – don’t know! Moderate consumption of caffeinated or decaffeinated coffee has been linked to a reduced risk of death from cardiovascular disease, diabetes and neurological conditions such as Parkinsons. However, a link like this isn’t proof of cause and effect – we can’t actually say coffee gives these benefits, or causes problems. Other factors may have a much greater influence. Drinking 2L of water a day is good for you – true. Sort of. Men are advised to consume up to 2.5L, women 2L, which makes sense when you consider the adult human is 65% water. However, this includes the water you get from your food, as well as from all beverages. In other words, you don’t have to make yourself drink bottles and bottles of water! Cracking your knuckles causes arthritis – false. One of my favourites. How often have people who crack their knuckles been told they’ll end up with arthritis? The fact that they’re usually told this by someone who finds the noise very irritating may have something to do with it! The actual noise does no harm at all, it’s just gas bubbles moving around. Having said that the continual over-stressing of the joints required to produce the noise can cause problems such as tendonitis and possibly even arthritis later in life. Tight underpants cause male infertility – false. There is no evidence to suggest that if a man has a normal, healthy sperm count, tight underwear will cause problems. It has been suggested, however, that if the sperm count is low or motility is poor, overheating from tight underwear might not help! So there you have it. 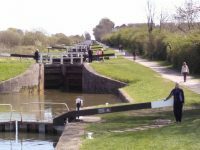 A few interesting points, a few surprises – and all the fun of being able to correct your mates down the pub if they start discussing one of the myths! It’s that time of year again. I will not drink, I will not eat chocolate, I will go to the gym every single day. I’ve said it before…yes you will, yes you will and no you won’t, respectively! You can’t lose weight without changing your diet, you can’t keep the weight off without doing exercise. That’s right. You can diet till you’re blue in the face, but even if you stick to it, the weight will creep back on again unless you exercise. Equally, you can train 6 days a week for an hour a day, but if you’re still shovelling in the rubbish you always have, it ain’t going to help! I’ve covered exercise many times before in this blog, so I thought I’d put a few quick hints about diet here. It’s very simple, effective, and you will start to notice a difference almost immediately. 1. Never skip a meal. Tempting, I know, but it really doesn’t help. Try reducing the size of each portion to achieve the reduction in calorie intake. Skipping meals has two problems – one, it makes you hungry, and you’re more likely to give in to cravings for bad food later; two, it can cause your metabolism to slow down, meaning your body uses less energy and converts the calories you do take in straight to fat. 2. Stay clear of “bad” carbs. Not all carbohydrates are bad (a fact the Atkins’ diet singularly fails to appreciate!). In fact, whole grain foods such as wholemeal bread, brown rice and brown pasta are really good for you. They contain many beneficial nutrients and also help by increasing the fibre in your diet. Not only does this help you feel more full for longer, but it also keeps your gut healthy and reduces the risk of bowel cancer in later life. “Bad” carbs (white bread, cake, white rice, pastries etc) not only miss out on a lot of the nutrients and the fibre, but they’re also often full of sugar and additives. Not good! 3. Lower your sugar intake. Sugar is the root of all evil. Well, maybe that’s not quite true, but it really doesn’t help anything. It can’t be totally avoided – and I don’t think it should be – but by trying to steer clear of foods which have a high sugar content and taking small steps such as cutting down or eliminating sugar in your tea and coffee, you will soon find you actually have more energy, feel less tired, have a better complexion…not to mention tiny little things like avoiding type II diabetes and tooth decay! Ah, the time of Christmas feasting has passed, to be followed inevitably by the season of denying the scales in your bathroom even exist because you really don’t want to know! Our New Year’s Resolutions then consist of “I will never touch alcohol again” or “chocolate? Not for me!”. And about two weeks later, you have a stressful day at work and the be-good resolution is out the window. There is no point in setting yourself a target, knowing that in all likelihood you are going to fail. It’s got to be achievable! And it’s not all about what you weigh, it’s about how you feel. Stay Active. Not only will this help keep you in shape, but going for a walk each day will also help maintain a positive mental attitude, and reduce the effect of the cold on all those aches and pains that appear around now. Don’t Do New Year’s Resolutions. It’s almost a standing joke now – New Year’s Resolutions fail. It’s because your target is behind you, not in front of you. Aim to do something by a certain time, not to do it because of a certain time, and you have a visible goal to work towards. Eat Sensibly. Don’t give up all the nice things and restrict your intake to the point you can think of nothing but how hungry you are. It’s a given that we are all going to over-indulge over Christmas, but by gradually phasing out some of the worst culprits such as anything with a high sugar content you won’t send your body into a carb-craving shock. Be Realistic. Going from doing no exercise at all to jumping around 6 days a week at the gym is never going to be sustainable – and you are very likely to end up injuring yourself! Start with doing one or two sessions of exercise in a week, and then gradually work up to doing 4 or 5. Exercise Smart. It’s not what you do, it’s how you do it. A walk in the countryside can be just as good as half an hour in the gym if you put some effort into it, and half an hour in the gym can be extremely damaging if you don’t do it right. Get advice from a professional if you aren’t sure what is going to be best for you. And one final hint…If you are suffering from aches and pains that you are hoping will just go away, remember that the sooner you get them looked after, the sooner they will go – don’t leave it until it is too late! It is a commonly held belief that pain is worse in the cold and damp – from years gone by, people have talked about the damp getting into their joints, and how their old injuries can ache in cold weather. But is this actually true, or just one of those old wives’ tales that are so often quoted as fact? According to the research, it is indeed a recognised medical phenomenon that pain is made worse by the weather turning at around this time of year. Injuries, both old and new, make themselves known and arthritic joints tend to seize up more than ever. It is a miserable time of year for many people – it’s just as well Christmas appears in the middle of it to lighten the gloom! The real question is – why? What is it about those frosty mornings or damp, drizzly afternoons that causes pain to increase? To me it seems incredible, but even with all the scientific knowledge and resources at our disposal, we actually still have no idea! There have been ideas thrown about, from change in the barometric pressure affecting the body to the chill causing muscles to stiffen, but nothing has actually been agreed upon or proved to be the source. Atmospheric pressure tends to drop just before bad weather sets in, so it is thought this reduction in pressure around a body can allow the tissue around the joints to expand and therefore increase the pressure on joints. But the effect is so minute, it is hard to believe it actually has sufficient power to cause such a significant change in the levels of pain experienced. Another possibility is that areas where injury or degeneration has occurred in a body often have over-active nerves, and therefore any slight change around these areas can be amplified by this hyper-sensitivity. This means that things which would pass normal, healthy tissue by completely unnoticed are picked up on and relayed to the brain as a painful sensation. Whatever the reason, winter is a time many of us dread for the damp, cold, dark days and the increase in pain that goes with it. The best way to cope is obviously to stay warm, but also try to keep moving. Not only will this help keep you warmer without the need of increasing the temperature on your thermostat at home, but the increase in blood circulation around the body helps to combat any swelling around joints, keeping you more flexible and mobile and in less pain. Emigrating could work too…. although, personally, I find the idea of a warm Christmas season too odd for comfort! So, not a myth in the sense we know it happens…but a mystery in that we don’t know why! 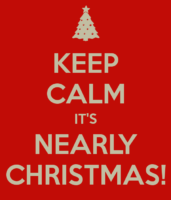 Almost exactly a week into December and the anticipation is starting to build for Christmas. Kids everywhere (and of all ages!) are waking up each morning, all excited to open the next door on their chocolate Advent calendar. Office parties are popping up for the adults, with all the related excesses and before you even get to Christmas you’re starting to feel less healthy than you have all year. After Christmas comes the New Year’s Resolution of “I will never eat anything unhealthy or drink any alcohol ever again and I will go to the gym 5 times a week for at least an hour”. Yeah, right. Never going to happen is it?! But here’s a new suggestion that the lovely Danni Evans from Basecamp Health and Fitness – an exercise advent calendar (link: http://www.basecamp-ellesmere.com/blog/102). Ok, so I know it’s never going to replace the chocolate version – and nor should it, we’re all entitled to a bit of fun – but as a concept it’s brilliant. There is a new exercise every day, so on day one you do the first exercise, day two you do the first and second, day three is the first 2 exercises and then a new one…and so on. Obviously, being 7 days into Advent Calendar-season, it’s not necessarily the best time to start using it for that purpose (although, really it’s never too late! ), but who’s to say it has to be just for advent? Choosing one new exercise every day, and only doing each exercise for a comparatively low number of repetitions, is a really great way to build yourself gradually towards a fitter, stronger and above all healthier you! 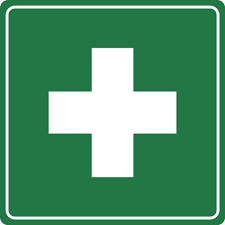 First Aid – for backs! In other words, they have a few hours, or maybe even a day or two, until they get into the clinic and they (quite rightly) want to get started on their recovery as soon as possible. Or even just help a little with some of the pain. Well, here are my golden rules for back pain – in particular, back pain that has only recently come on. Some of them may seem a little strange, but I can tell you from firsthand experience they really do work. Keep Moving. The golden rule when it comes to most injuries is to keep it moving. This doesn’t mean you spend your entire time wandering around, it means wander around for 5 mins, then sit down for a few minutes, then try and bend forward, then walk around some more, then sit down, the try and ease backward, then walk…you get the picture. Vary what you are doing in as many ways as possible. The only exception to this is twisting – don’t do it. Or anything like lawn mowing, vacuuming and sweeping, which involves a twisting movement. 2. I Instinctively, we want to put something warm and comforting on whatever hurts. In pretty much every case of sudden onset back pain this is the WRONG thing to do. There is bound to be inflammation in the area, so you are going to be a hundred times better off putting a bag of peas on it than a hot water bottle. 5 mins of an ice packed, wrapped in a towel to protect your skin, then 10 mins with it off to allow the blood to circulate back to the area. And repeat. Ibuprofen. See above – ibuprofen is an anti-inflammatory, and we need to get that swelling under control. Check with your pharmacist or GP that you are OK to take this medication if you are unsure, then follow the guidelines on the packet or that your GP gives you. Keep Moving. Ok, already put this one in, but just thought I’d remind you how important it is! Do everything you would normally do with your day (as long as there’s no twisting involved) and you will reap the rewards. Not only does it help psychologically if you are getting on with things rather than focussing on your back pain, but it will keep things more supple and less painful. Of course, if you start to do something and find it’s making things worse, stop. But unless that happens, get on with your life! Book an appointment. I started this article by saying usually I get asked by people who have already booked in what they do in the meantime, but if you are reading this and wondering if you need to see a Chiropractor, then the answer is yes. Even if the pain goes away, the function may not be fully restored, risking it happening again in the future. Even if the function does restore as well as the pain going away, this happened for a reason and a Chiropractor will be able to tell you how to avoid it happening in the future. 7 great reasons to do Pilates! I bore myself silly sometimes, banging on about core strength and posture all the time. 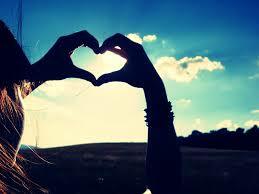 But the truth is, I mention it so much because it really is vitally important to everything we do. Whether it’s giving you the inner strength (literally!) to stand and wait 3 hours in a queue, or allowing you to pick up heavy items without doing yourself harm, it all comes down to core strength and posture. One of the best ways to improve yourself in this area is using a form of exercise such as Pilates. There are many other benefits to this form of exercise as well; I recently read an article which compiled 7 reasons to do Pilates which you may not have thought of before. I thought, this week, I would share those with you. It relaxes you. While yoga is well known for its breathing techniques and relaxation, somehow Pilates has missed out on renown in this area. Linking the stretches and exercises to your breathing has a provably relaxing effect, and seeing as the muscles you tend to “carry” stress in (those around your spine and shoulders) are the very same ones Pilates focusses on exercising, it can be a great way to unwind. Makes pregnancy and birth easier. Ok, so not such a great reason for men to take it up, but it really can work wonders for women during pregnancy. Starting to do Pilates when you are pregnant can help strengthen the pelvic floor muscles meaning it will not only help with the actual labour but will also reduce the likelihood of problems such as incontinence after pregnancy. If you are trying to get pregnant, it’s never too early to start working on your core either! Great for athletes. London Irish rugby players, amongst others, make use of Pilates in helping to prevent injury as well as giving them a greater overall strength. Increase muscle mass. Admittedly, Pilates is not a HIIT, cardio or high-calorie burning activity, but is will increase your muscle mass which helps you look more toned and possibly increases your metabolic rate as well, meaning you burn more calories even at rest. Increases brain power. There have been some studies which shower subjects had a much better attention span after doing a course of Pilates than they had before. Makes sense if you think about it – gets the blood pumping all around the body (including to the brain), not to mention the reduction in stress allowing you to concentrate better! Reduces menopausal symptoms. Another one that’s not much help to the men among you (discuss….!) but again it has been shown in some studies that symptoms such as hot flushes and aches and pains can be reduced with Pilates. Plus it can help build bone density, which will help stave off osteoporosis in post-menopausal women. Improve balance. Really, really important. Think how many elderly people you know who have had a fall for no apparent reason, or tripped over something inconsequential, and ended up with severe complications and protracted hospital stays, all because they had poor balance. Well, it’s while it’s never to late to start work on this, clearly it is going to be much better to already have a good solid groundwork in place before you get too frail! So there you have it. 7 excellent reasons for taking up Pilates (alright, maybe only 5 reasons if you’re male, but my point still stands!). Invaluable in mental, physical and ongoing wellbeing. 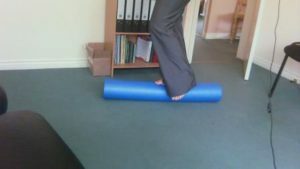 So, last time I showed you a few ways you could use a foam roll to sort out some muscular niggles. Don’t forget, those were only a selection of ideas – don’t be afraid to get inventive! 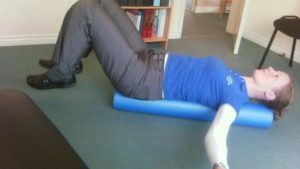 If you have a muscular ache, and can work out a way to use the foam roll to apply pressure to it, give it a go. This week, though, I thought it might be good to go through a few exercises that you could use to help your core strength. A little warning note – these are not easy, and unless you have already done a basic core strength program you are unlikely to be able to manage them. But if you can manage them, they are really fantastic for taking you to that next level. So first, there’s the one that looks really easy. Lie on the foam roll, with it running along the length of your spine. Take your arms out to either side without letting them rest on the floor, then tense those core muscles and slowly lift your feet up off the floor. 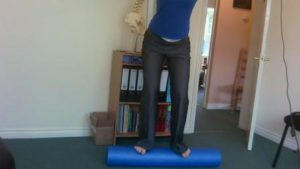 Another good exercise for balance and core strength is learning simply to stand on the foam roll. In the first place, you can stand on it so that your feet are across it. Tense those core muscles to help you balance and keep a slight bend in your knees. To start with, it is often easier to also bend at the hips so that you are in a slight squat position – keep your back straight though! Once you can manage this on 2 feet, try standing on one leg. Once you’ve got the hang of that, turn the foam roll so that your foot is running along the length. 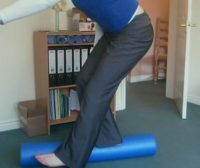 Standing on one leg in either of these foam roll orientations is not only good for everyone’s core strength, but it is also really fantastic advanced rehabilitation for anyone who has sprained their ankle. A lot of work needs doing after an injury like that (although it is very rarely done, as the pain and swelling goes away and people forget about it) and once that has been started these exercises play a vital role in preventing those repeat-injuries that often occur with ankle sprains. Finally we have a fantastic exercise for people who have been working on one-legged squats and want to take it to the next level. With the proper technique, squats are a great way to improve gluteal strength and provide a solid framework for your lifting technique, and one-legged squats are just one step harder. As it says on the tin, you stand on one leg and perform the same squat manoeuvre. Bringing in the foam roll really adds core strength and balance into the mix, as you stand on the foam roll to perform the squat! Initially, you can work on simply standing on the roll and touching the heel of your free foot to the floor. You can then progress to the full squat movement. So there you have it. Some far-from-simple exercises that can really help you become a member of the elite where core strength is concerned – and in the interests of back pain prevention, that’s where we should all want to be!